Some of Thomas Jefferson’s first teachers shaped his rationalistic approach to religion, which in turn shaped his concept of the University of Virginia. His most influential early mentor, the Rev. James Maury, emphasized that religious ideas must pass the bar of reason, arguing that one did not have to accept any precept until he had “received rational satisfaction of [its] credibility.” Fresh from Maury’s teachings, 17-year-old Jefferson encountered at The College of William and Mary the young professor William Small, Scottish educated and the first real scientist Jefferson had met. Small, a professor of natural philosophy and mathematics, taught that reason, not revelation or intuition, was the basis of knowledge. Jefferson’s other tutor at the college, George Wythe, the learned professor of law, similarly believed in the primacy of reason. These three men largely shaped Jefferson’s intellectual development throughout his life, and from these influences he came to disbelieve those aspects of his childhood Anglican orthodoxy—such as the Trinity—that he found incompatible with reason. For a while he drifted away from Christianity and valued the ancient Greek and Roman stoic writers as moral teachers, although he was later to discover a new appreciation of the Gospels, even to thinking that Jesus—though not divine—was the greatest moral teacher of all. Creating a state university appropriate for the age and needs of the people—and, by the way, centrally located—would long be a concern of Jefferson. As a disciple of reasoned thought, Jefferson realized that his private religious ideas put him in opposition to Virginia’s laws. Believing that religion was most genuinely a matter left solely to an individual’s personal relationship with God as mediated by his reason, he argued there was no legitimate role for the intervention of priests or civil officials. Because, as he put it in his Virginia Statute for Religious Freedom, “Almighty God hath created the mind free,” there should be complete freedom of religion. No one should be compelled to accept any particular belief, and the government should be completely neutral on religious matters. Jefferson realized that by happy accident he had benefited from freedom-loving, rationalistic mentors at William and Mary but that under other circumstances the academic experience could have been quite different because the college was an Anglican institution: The governing board and the professors were required to subscribe to the principles of the church, as were the students. When in 1779 he authored a bill to amend the constitution of the college, he sought to make it a secular state institution, with no religious requirements, and his listing of the professorial disciplines was intended to transform the college into a real university with an emphasis on science, eliminating the professor of divinity. 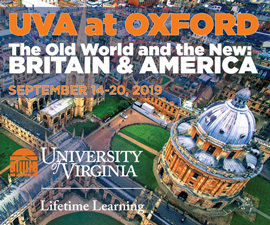 This bill failed to pass, but later, as governor, Jefferson did effect some changes at the college, and then still decades later, when shaping the University of Virginia, he largely fulfilled his ideal for a modern university with an emphasis on science and modern languages. Creating a state university appropriate for the age and needs of the people—and, by the way, centrally located—would long be a concern of Jefferson. On Jan. 18, 1800, mulling over his ideas in a letter to the British chemist Joseph Priestley, a renowned advocate for rational Christianity, Jefferson spelled out in some detail his hopes for a “broad & liberal & modern” university, and stated it should offer “a judicious selection of the sciences.” He listed the disciplines he hoped would be taught, notably omitting divinity, although all the modern sciences along with philosophy, politics, commerce, history, ethics, law and arts were to be included. He thought all the faculty should be full-time teacher/scholars, and he hoped the state would at the beginning be able “to draw from Europe the first characters in science” to set the standard for instruction and scholarship. Six years earlier he had even been open to inviting the entire European faculty of the University of Geneva to relocate to the U.S., overlooking the language difficulty this would pose for American students. Over the years Jefferson continued to correspond with European scholars about what should be taught in a modern university. The famous 1818 “Report of the Board of Commissioners for the University of Virginia,” which led to the legislative creation of the University of Virginia, detailed the many functions educational, moral and cultural the institution would provide, with careful delineation of the disciplines to be taught. Here Jefferson’s concerns with science, modern languages and central location for the convenience of the state’s citizens, as well as general healthfulness of the academic community, were provided for. And Jefferson’s lifelong commitment to religious liberty was carefully respected in his secular vision for this modern state university. As the founding report put it, “In conformity with the principles of our Constitution, which places all sects of religion on an equal footing . . . and with the sentiments of the Legislature in favor of freedom of religion . . . , we have proposed no professor of Divinity.” Rather, “the proofs of the being of a God, the creator, preserver, and supreme ruler of the universe, . . . and of the laws & obligations these infer, will be within the province of the professor of ethics.” Jefferson did propose that the various religious groups could locate their own houses of instruction in the vicinity of the university, but they would not be a part of the state institution, and he did set aside a room in the Rotunda for voluntary student religious services. 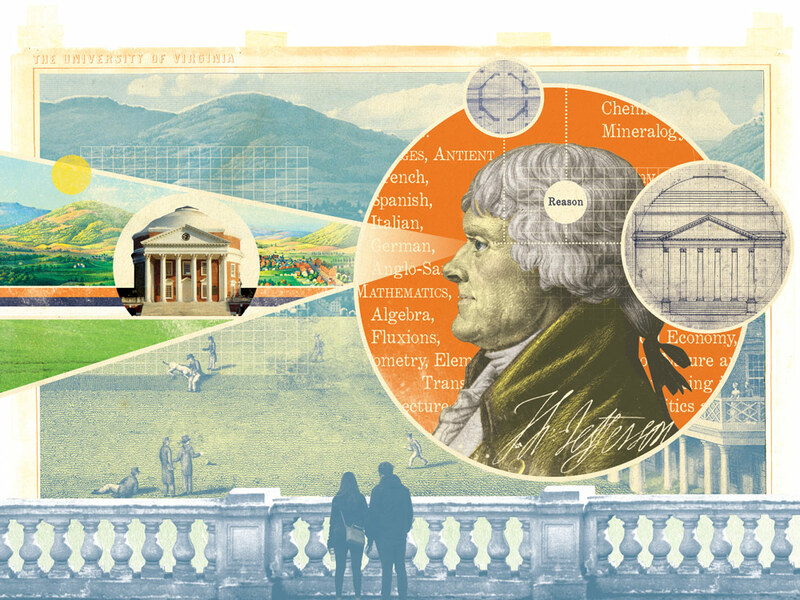 Jefferson’s University of Virginia was to be a modern, secular, science-centered university taught by scholars of distinction, with the students expected largely to govern themselves. Thus was born the university that we recognize and honor today. John B. Boles (Grad ’69) is a professor of history at Rice University and the author of Jefferson: Architect of American Liberty. chapel was probably a nod toward one’s private faith. Jefferson had reason but no faith. what is truth P . Pilate asked jesus. i wonder if jefferson would be happy with our morals today. I agree fully with Philip Hurst that the “chapel” should be dismantled. Thomas Jefferson certainly did not believe there should be “no place for a Christian place of worship”, either on the grounds or in the United States of America, but rather that a truly liberal government should be secular, but that does not extend to the people. Indeed, it’s odd that the author fails to note that, according to Jefferson’s philosophy, all men are created equal precisely because of their having been created by God, and that no man on earth is entitled to such rule or role. “We hold these truths to be self-evident, that all men are created equal, that they are endowed by their Creator with certain unalienable Rights, that among these are Life, Liberty and the pursuit of Happiness.” To suggest that Mr. Jefferson equated a secular government with a secular people is to miss the point, probably to comply with current political fads. The novel yet enduring experiment in governance spearheaded by Mr. Jefferson two centuries ago was to protect religious liberty, not to banish it from the grounds. Being intellectually sympathetic to Jefferson’s views on religion and his insistence that The University be and remain fundamentally secular, I have always felt uncomfortable with the presence on the grounds of “The Chapel”, and not just because I think it is architecturally hideous, totally out of keeping with Jefferson’s neo-classical concept of the Rotunda, The Lawn and the adjacent areas. If The University is to be truly a secular institution, then there is no place for a Christian place of worship within its bounds. Moreover, the presence of such a chapel must surely raise the question of how The University is to respond to a demand, perhaps increasingly inevitable, for a mosque or synagogue or temple to be erected. Thus, to be true to the Founder’s secular ideals, the rational, “reasonable” solution is for the neo-Gothic structure adjacent to the Rotunda, that he would never have approved, to be dismantled. Interesting article. Hope you’ve read Bole’s excellent biography of Jefferson.